A marquee matchup between star-studded squad Shanghai SIPG FC (2-1-0, 6 points) and current league leaders Shandong Luneng Taishan FC (3-0-0, 9 points) is set on Friday, April 7 at the Shanghai Stadium as the fourth round of the 2017 Chinese Super League season continues. Shanghai SIPG, who signed Chelsea star Oscar before the season, opened this year's campaign with two dominant victories over Changchun Yatai and Yanbian Funde in the first two rounds of competitions. However, head coach Andre Villas-Boas' boys were tripped in the third round by defending champions Guangzhou Evergrande as they succumbed to a high-scoring 2-3 road loss at the Tianhe Stadium last Saturday, as per the South China Morning Post. Guangzhou scored the first two goals in the 12th and 24th minutes courtesy of local midfielder Yu Hanchao and Brazilian import Alan Carvalho respectively. 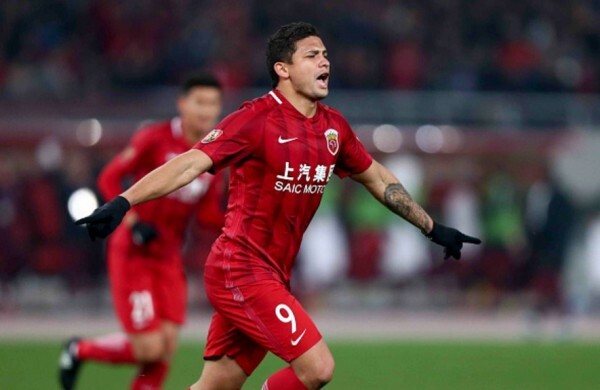 SIPG was able to equalize the count with consecutive goals from its two Brazilian stars, Elkeson and Hulk, in the 53rd and 70th minutes, but Guangzhou's Ricardo Goulart converted a spot kick in the 80th to help the defending champs come away with the win. Meanwhile, Shandong Luneng remained undefeated with a 2-0 blanking of Changchun Yatai on the road at the Development Area Stadium last Sunday, Xinhuanet reported. Senegalese striker Papiss Cissé netted a brace in the 59th and 81st minutes to lead head coach Felix Magath's side and help them extend their winning streak to three games to start the season. Shandong defeated Tianjin Teda and Guangzhou Evergrande in the first two rounds. Shandong is expected to give SIPG a tough fight in this match, but Villas-Boas' squad is favored to win a close contest with their trio of Brazilians: Hulk, Oscar, and Elkeson. The predicted result is a 2-1 bounce back victory for Shanghai SIPG.